How many game tokens does each game take to play? All of our games take from 1—4 game tokens. When is the best time to come for beginner skaters? You can ask any one of our floor staff for a quick lesson. What are the risks of skating? Falling down, being bumped, pushed or coming in contact with another skater, are a part of roller skating. If you are not willing to accept these risks, please do not skate. Can I use the coupons from Jumpin’ Jupiter on a different day/time than what is listed on them? Unfortunately not! These coupons are specifically created to give SUPER deals on specialized dates and times. If we allow them to be used anytime, the deals would not be SUPER! We accept Visa, Master Card and Discover and cash. We will also take a debit card if it has a Visa or Master Card logo. Please no checks. Yes. Gift cards are in denominations of $5. They can be used anywhere in the facility, admission, skate rental, concession, Skate Shop, redemption prizes and tokens for games. Yes, lockers are available for .50 each use. They accept quarters. Helmets are not required but you are welcome to bring and wear one if you choose. Can I skate if I’m pregnant? If you are pregnant, we recommend you do not skate. Can I carry a child if I have skates on? For the safety of your child, please do not attempt to carry a child if you have skates on your feet? What’s the difference between “inlines” and “quads”? 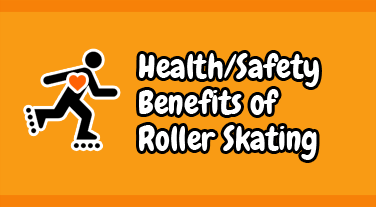 Inline skates or rollerblades are called inlines because all of the wheels are in a line, one wheel after another. Quads are the traditional style skates with 2 wheels side by side on the front of the skate and 2 side by side on the back. In lines were first invented in the 1800’s. Quads were invented later when skaters wanted to be able to do more difficult tricks on their skates. 16 laps around Jumpin’ Jupiter’s skating surface equals one mile. If you skate at any other rink, be sure to ask as the size of the skating surface vary from rink to rink. How long does it take to learn how to skate? It truly depends on the individual. Athletic ability, physical condition and motivation all play a factor. If a person wants to learn to skate the only one of these that will hold them back is lack of motivation. Athletic ability and physical condition can be improved no matter what, if a person is motivated. Having said that, for the average person just learning to skate, it takes an average of 5 to 6 lessons to move with confidence around the skating floor. Are skates sized the same as shoes? If you are renting skates, it is important to know that they do not come in half sizes but they do run a little larger than street shoes. So, if you wear a size 6 1/2 shoe, you should try a size 6 first and so on. Of course, if your first pair of skates do not fit, feel free to take them back to the skate rental counter. We will gladly exchange them for a different size. If you are buying a pair of skates, our skate sales staff can help you find the correct size, as the boots run slightly different from each manufacturer. Is Jumpin’ Jupiter Skate Center really FUN? Oh yeah! Jumpin’ Jupiter is our name and FUN is our game! During our pubic skating sessions, non-skating parents/grand parents and children under 32” are the only “free” spectators. All others will be charged the general admission and skate rental (if needed) whether skating or watching. Do you allow kids to come in and just hang out? Unless a parent stays to watch, all children/teens must wear skates. What if my child leaves the session early and I’m not there to pick them up yet? If a child/teen decides to leave the building/premises, we are not responsible. We recommend the child/teen stays inside with skates on until you come inside to pick them up. Except if the session has ended. Once a child/teen leaves the building, they must pay to re-enter. Yes, we allow all kinds of regular roller skates and inline/blade skates. We do not allow “heelie” type skates on our skating floor. Do you check my skates? Yes, we look at all privately owned skates. Skates should be clean and in good working condition. No protruding nuts or bolts. You will hear a variety of pop, country, rock, r&b, old school and party classics. Our session programming is open to everyone. However, the public skating sessions are programmed to provide maximum entertainment for families, middle and elementary school students. All of our music is radio edited. During pubic skating sessions, we only allow guests with skates on to enter the skating floor. We recommend children practice on the carpet a few time to help get their balance. We also have Skate Mates available for rental. What do you have available for smaller children? With skating, there is no age limit. We have fisher price skates for children. Bounce Quest playground is available for children under 56”. There is no charge for parents to play in BQ with their children. Kiddie Carts are available for smaller children that are able to sit up, but may not be able to walk yet.